Used Alfa Romeo 159 Review - 2006-2012 Reliability, Common Problems | What Car? What should I look for in a used Alfa Romeo 159 estate? Some 159 owners swear by their cars – others swear at them. Reliability is patchy, with a wide range of issues reported. The engine's ECU can give up the ghost, particularly on the diesel cars, resulting in a total loss of power and stranded owner. Other electric-gremlins include non-functional cruise control and windscreen wipers. Brake problems have also been reported, which require replacement parts to fix, as have timing belt issues. Check the inside edges of front tyres for excessive wear – the front tracking may need adjustment. Alfa Romeo dealers can be one of the biggest drawbacks to owning a 159. Some are helpful and polite when thing go wrong, while others couldn't care less. If you find a good garage, stick with it. 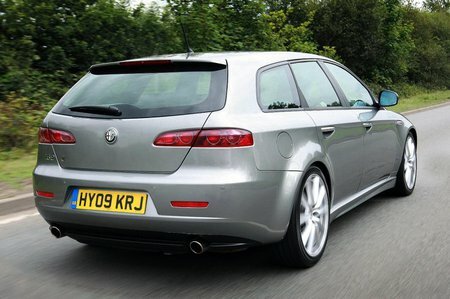 What are the most common problems with a used Alfa Romeo 159 estate? Is a used Alfa Romeo 159 estate reliable?